A little over a month ago, we reported the availability of Kaspersky Internet Security 2016 and Kaspersky Antivirus 2016 products with support for Microsoft’s latest version of Windows. 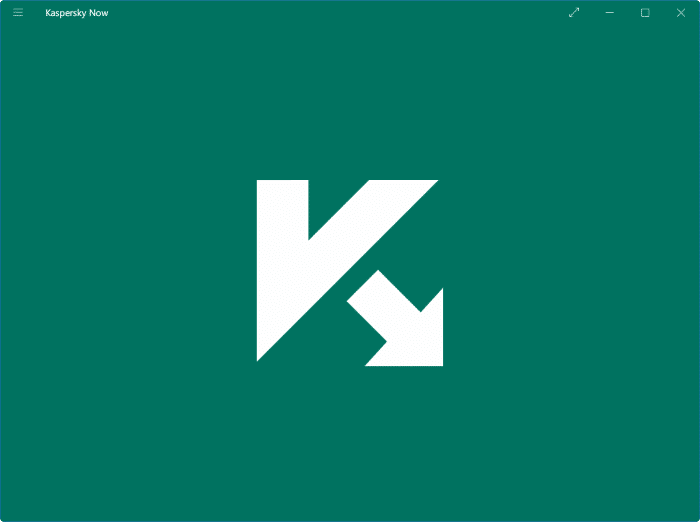 Kaspersky Lab has now released a free app named Kaspersky Now for Windows 10, and is now available to install from Windows 10 Store. 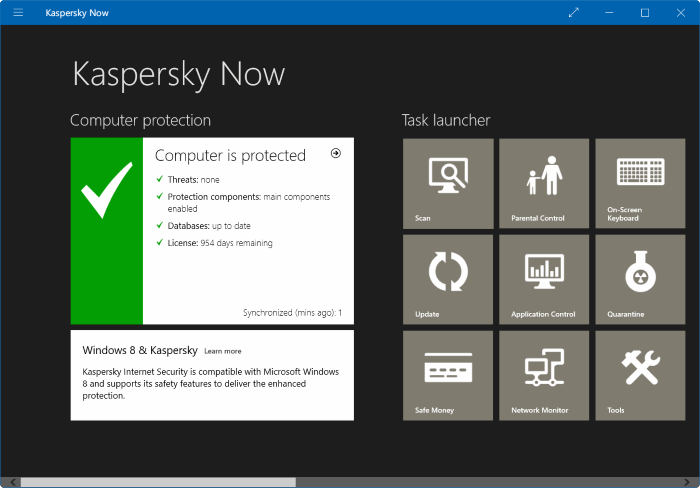 The new Kaspersky Now app displays your PC’s protection status (threats, database, license, and recommended actions) and also lets you quickly launch Kaspersky Antivirus and Kaspersky Internet Security features. Besides, the app also includes Kaspersky Lab’s securelist.com RSS feed so you can keep a tab on security news and new threats. Kaspersky Now is useful especially for users who are using either Kaspersky Internet Security or Kaspersky Antivirus solution to protect their PCs from viruses, malware, and other threats. Once installed (see how to install apps from Windows Store), you will see Kaspersky Now tile on the Start screen. Click or tap the tile to launch Kaspersky Now. The home screen displays news from Kaspersky Lab and also lets users purchase products from Kaspersky. Users who are running Kaspersky Internet Security or Antivirus will see options to launch product features such as Scan, Parental Control, Quarantine, Network Monitor, and Virtual Keyboard, and Update. Please note that Kaspersky Now app doesn’t help you protect your PC unless you have installed one of the Kaspersky products on your PC. The app is useful for only for users running Kaspersky Internet Security or Kaspersky Antivirus. Kaspersky Now supports x86 and x64 system types of Windows 10. Visit Windows Store to install the app. Right-click on the app tile on the Start screen to see the command bar and then click Uninstall button to remove the app from your PC. This app seem to be removed from the app store. Any idea why this was done?